While the similarities are striking between the new Haas F1 car livery and the iconic look of the John Player Special Lotus colours from the 1970s and 1980s, team chief Guenther Steiner was keen see an evolution rather than complete copy. In a recent trend of resurrecting famous liveries, following McLaren’s return to its former papaya orange, Haas unveiled an all-new look for 2019 with its new title sponsor Rich Energy. 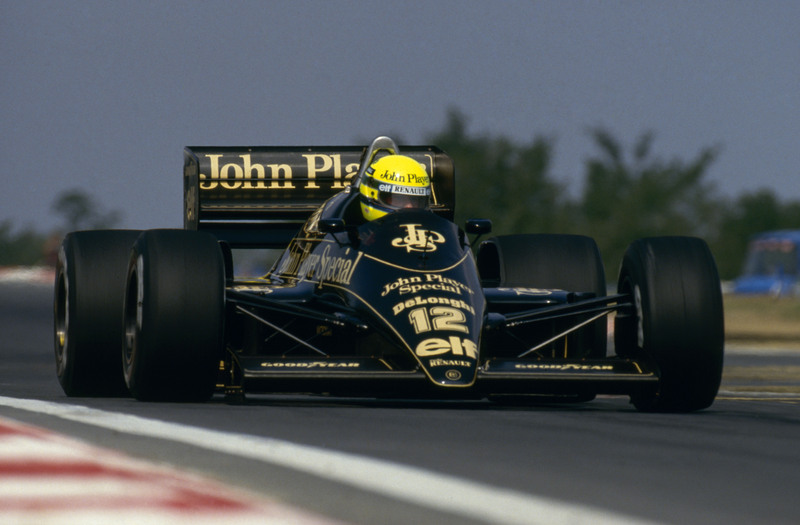 The US squad has ditched its previous grey look for black and gold with the livery drawing automatic similarities to the John Player Special colours used by Lotus in the 1970s and 1980s. Team principal Steiner made no arguments against the similar appearance but underlined the design was never aimed as “a complete copy”, a move backed by team owner Gene Haas. “It was something new but Gene is a smart guy. It’s a good-looking car and he liked it,” Steiner said. “When you get older you remember what you liked when you were young. It was the good old days and everybody going back it was a great era in F1 when it was gold and black. “Everybody is getting a little bit sentimental about it. It is actually a good-looking colour. The black and the gold. “We added an evolution out of it with the white otherwise it would have been a complete copy of the 80s. Now we made an evolution with the white and now we just try to take it forward. 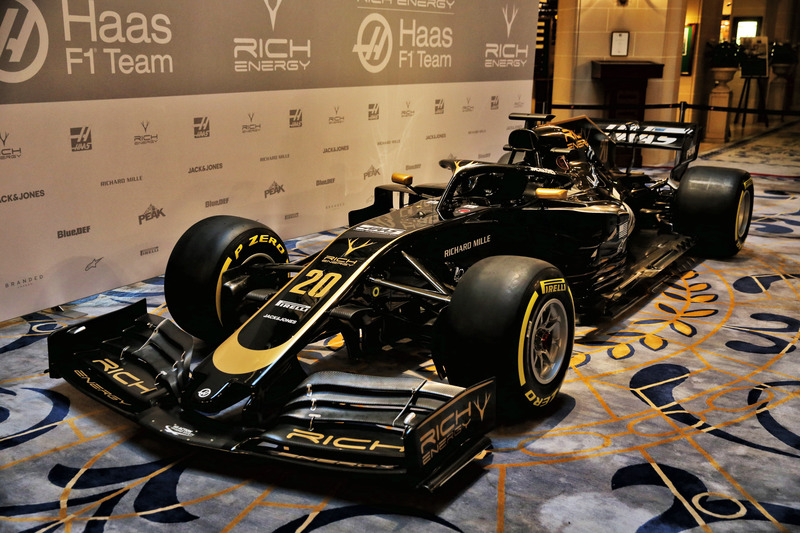 New title sponsor Rich Energy chief William Storey, whose brand colours influenced the switch to gold and black for 2019, is naturally thrilled with how the car livery has come out ahead of its “long-term” Haas partnership. “We intend to be in F1 long-term and we believe that Haas absolutely a dream partner for us,” Storey said. “They are a David taking on Goliaths of Formula 1 and we are doing the same with the drinks business.